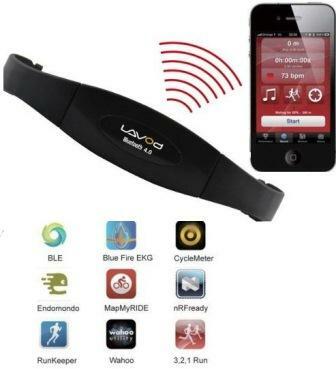 Cycling has become a healthy lifestyle choice for many – now with the Lavod Bikeman II LFB-625c, we now find a perfect merge to include a powerful MP3, flashlight , high sensitive FM radio and MP3 loudspeaker in one pack. Encased in a special oxidecoated, water-resistant aluminum cylinder,the Bikeman II is designed to withstand the rigors of any biking adventure. At home or in the office, the LFB-625c with its stylish, sleek form and crystal-clear loudspeaker is the smart music play system on your desk or the chic portable FM radio besides your bed or even the shower speaker in your bathroom. The Lavod Bikeman iPhone 5 Bike Mount Case stk# LRC-021 is professionally designed to completely protect your Apple iPhone 5 from the weather and accidental drops or collision. The weather-proof case is easy to install on your bike handlebar so you can track your GPS position, your speed, or distance travelled, while you ride. You don’t have to miss any calls when you simply have to cycle in the rain as the touchscreen remains sensitive remains fully functional while it is completely protected from the weather. The Lavod Bikeman is equipped with 360 degree swivel and 24 level adjustable bike mount bracket so you can use your iPhone in portrait or landscape mode. 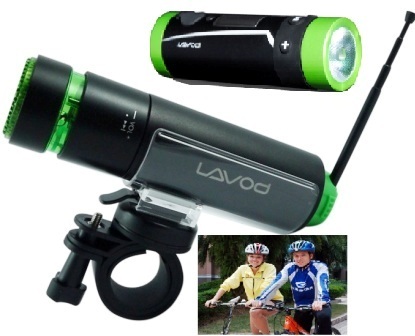 The Lavod Bikeman iPhone 4/4S Bike Mount Case stk# LRC-021S is professionally designed to completely protect your Apple iPhone 4/4S from the weather and accidental drops or collision. 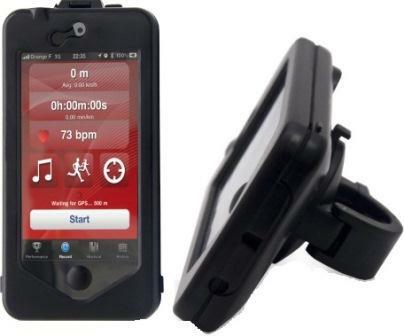 The weather-proof case is easy to install on your bike handlebar so you can track your GPS position, your speed, or distance travelled, while you ride. You don’t have to miss any calls when you simply have to cycle in the rain as the touchscreen remains sensitive remains fully functional while it is completely protected from the weather. The Lavod Bikeman is equipped with 360 degree swivel and 24 level adjustable bike mount bracket so you can use your iPhone in portrait or landscape mode. 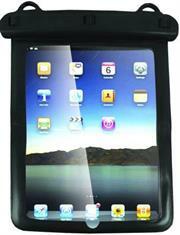 The Lavod LMB-011s waterproof bag is for iPad series or any under 12” tablet PC. The bag design is suitable for snorkelling or surfing sport, Taking photos in rainy season or weather , it can also be used when Mountaineering, Skiing ,Water spa Party, Swimming etc. -100% protection from water, sand, and dust. - Includes a shoulder carrying strap. - IPx8 certified, for long time used in water up to 3 hours and 3 meters deep. - Clear transparent and soft material for easy operation. 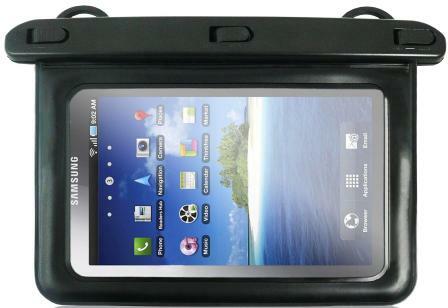 - 100% protection from water,sand and dust. - ABS locking system and PVC material which can resist from strong acid. .They are strong and robust;however we do recommend that you ensure you have third party insurance cover for the contents. 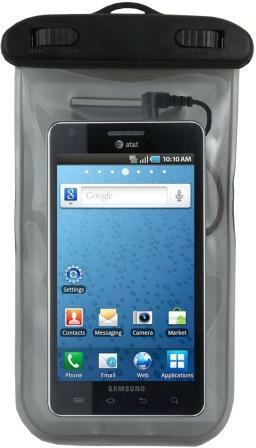 100% protection from water, sand and dust. Take your iPad mini or Samsung Galaxy Tab on your water-based or beach missions with the Lavod LMB-015s Waterproof Bag IPX8 Waterproof Case that offers full use of the device while it is safely sealed away. The Lavod waterproof case has a clear front so you can use all the touch screen functions and seals, making it guaranteed submersible to 19' (5.8 meters). The Lavod LMB-015s Waterproof Bag IPX8 Waterproof Case is made of environmentally-friendly biodegradable PVC making it 100% waterproof and also keeps out dust, sand and dirt all making this the perfect for iPad mini/Galaxy and similar sized or smaller tech gadgets, like e-book readers etc.